A volcanic range that dips and swells, spotted with medieval castles and sprawling vineyards, olive groves and ancient abbey’s among the towns of the Veneto plain are known as the Euganean Hills. 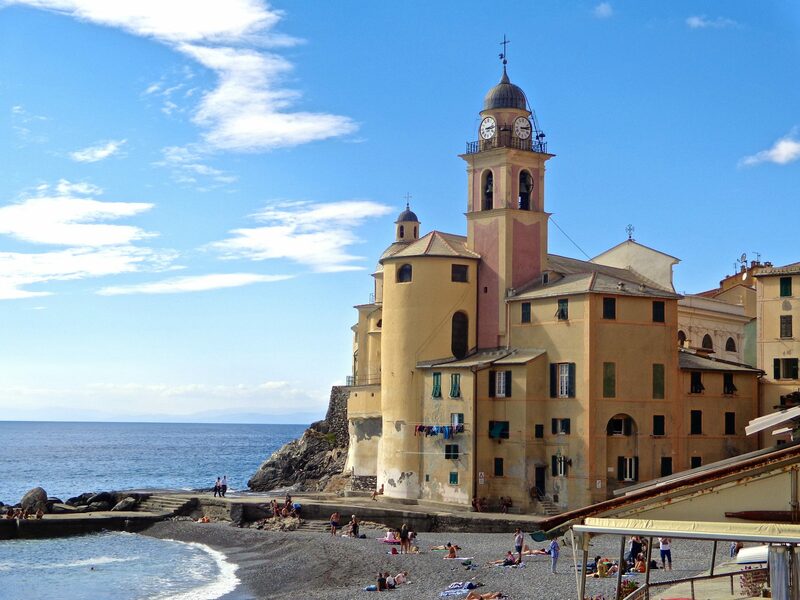 Named after the ancient peoples that inhabited the area before the colonization of Rome, these hills have been celebrated for their picturesque beauty and nourishing hot springs for centuries. 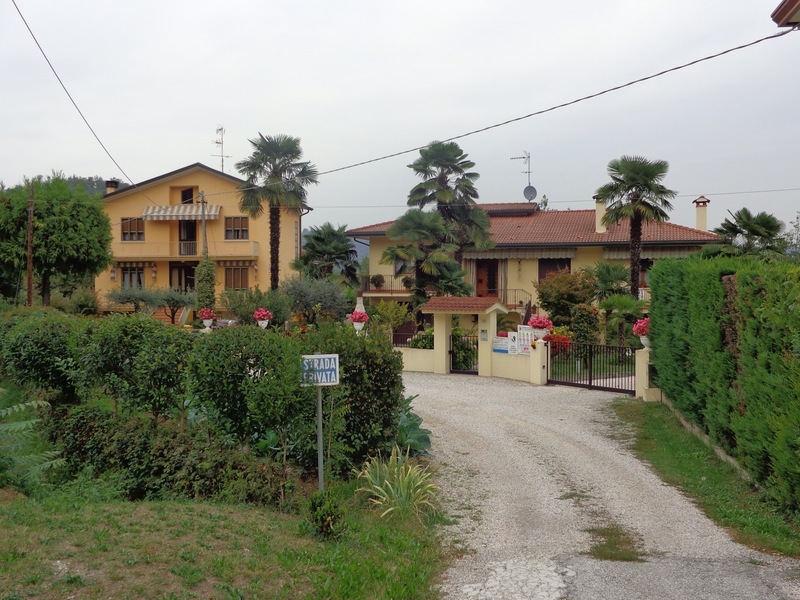 Just this last September I spent a few days in Padua, exploring the countryside and discovering several little towns nestled quietly among the hills. The poet Petrarch lived his last four years in the small village of Arqua from 1370-1374. 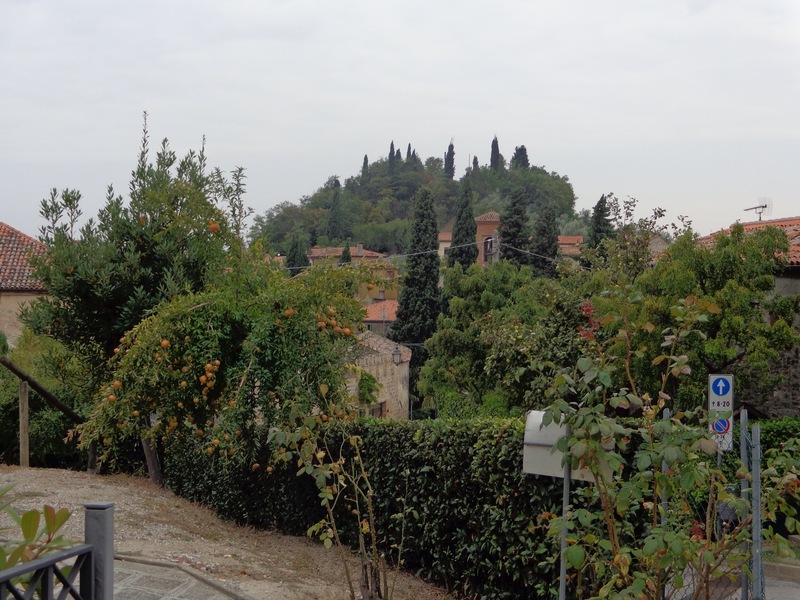 In 1870 the name Petrarch was added, making the new name of the town Arqua Petrarca. The house where he lived is now a museum. 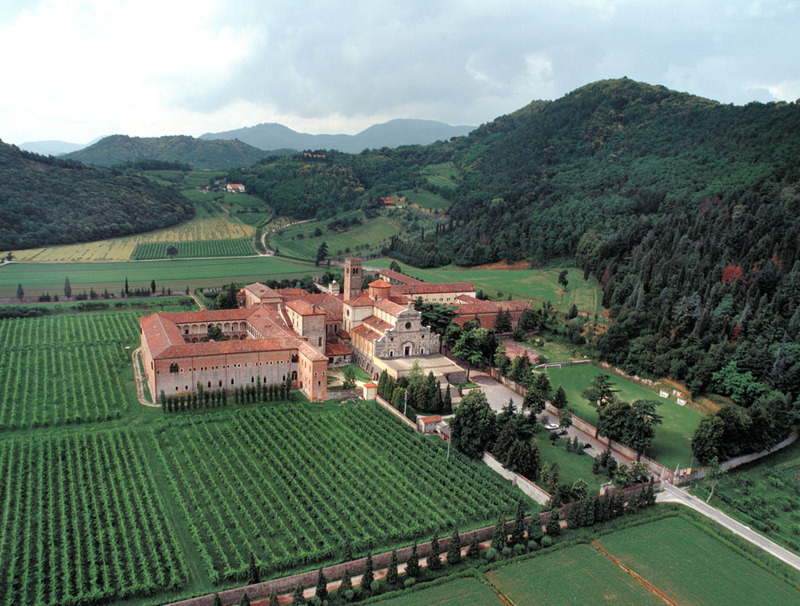 Just south of Padua and running westward, the Euganean Hills contain many natural, historical and artistic treasures. A regional park offers over 200 walking and cycling paths and is the oldest and largest thermal basin in Europe. Fifteen towns and eighty-one hills are a part of the park. Numerous spas can be found throughout, providing cures and treatments. (Spas and hiking trails). 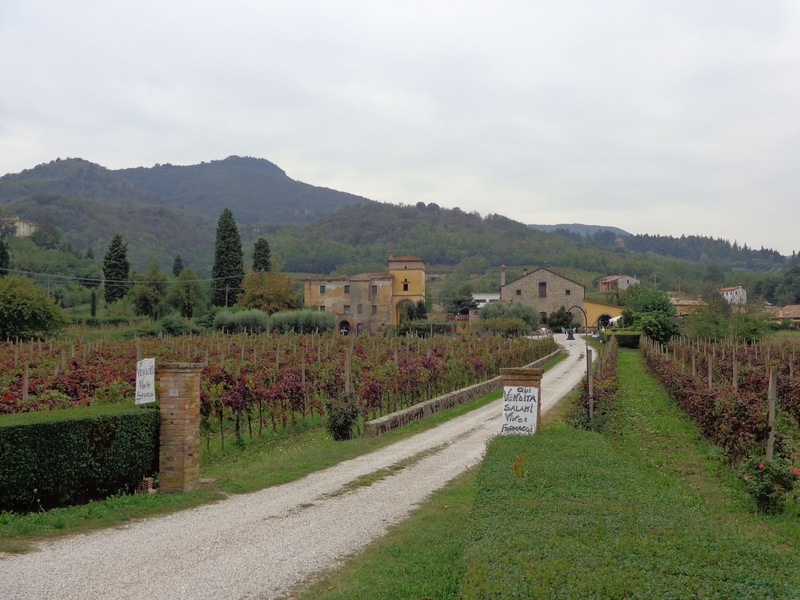 The Euganean Hills Wine Road extends through the natural area of the park with the idea of linking wineries, bed and breakfasts, farms and taverns together for easy touring options. 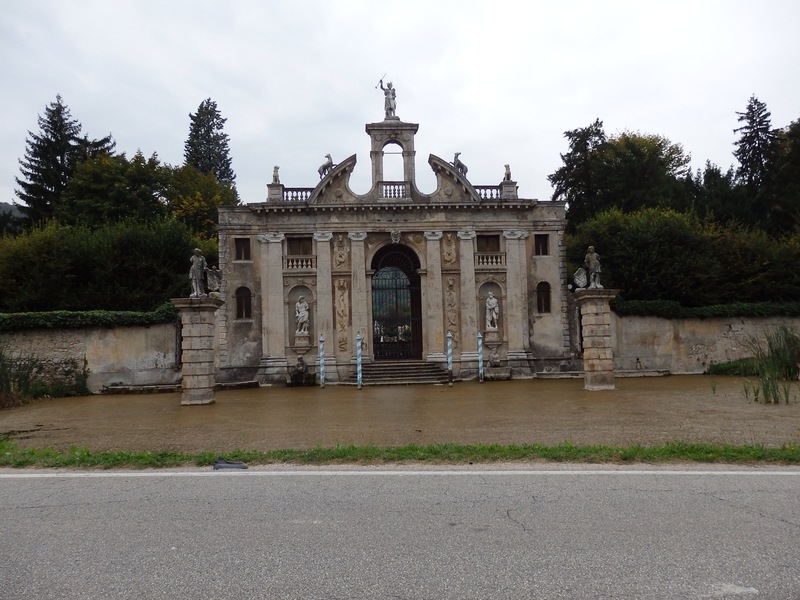 The Abbey of Puglia, an 11th century community of 32 Benedictine monks, sprawls out surrounded by vineyards on an old country road just south of Padua on the way to Este. They are a most industrious group of men, farming and cultivating wine and elixirs, beehives and honey products, skin care, herbal teas and medicinal potions in their on-site pharmacy. A tidy shop in the abbey displays many of their products for sale. Several of the towns dotting the Euganean Hills have medieval walls still encircling them. 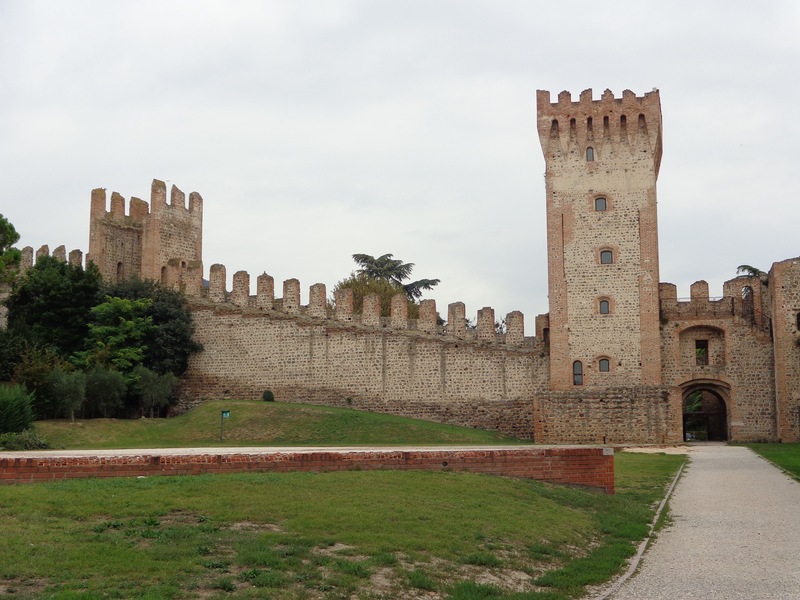 Este and Montagnana have prime examples of well-kept ramparts that rise as majestically as they did centuries ago (see my post, Castles of the Italian Countryside). Hills surrounding the neighborhood-lots of hiking paths up to the top of the hills. 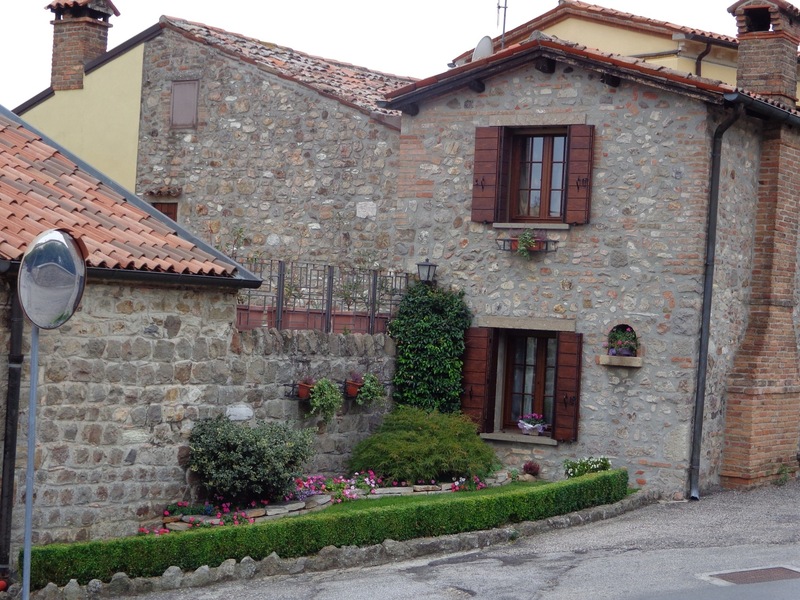 The romantic poets, Shelley and Byron, lived in Este from 1817-1818. Like many others, they were drawn to the Euganean Hills by a sort of inspiration and peace. 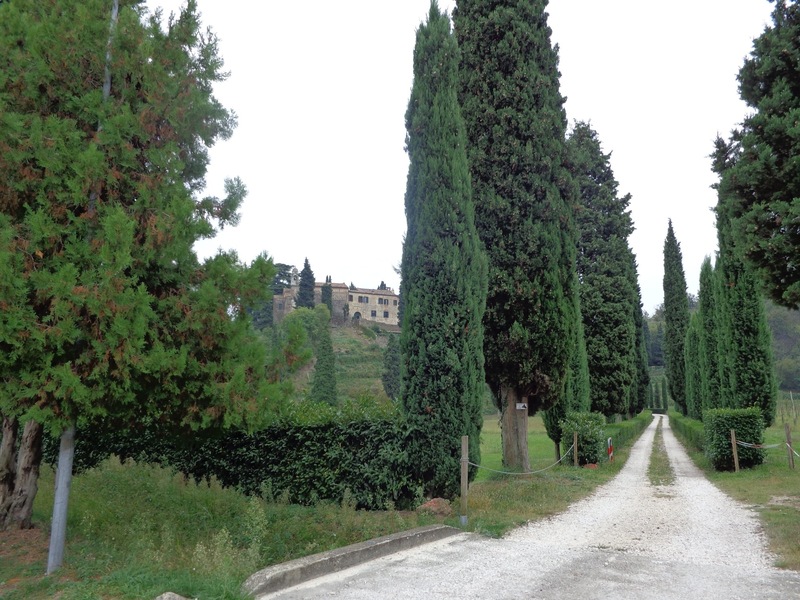 So, take up a walking stick and explore one of the most picturesque and path-friendly regions of Italy. Pathways are abundant and wind from town to town and throughout the hilly countryside, offering gorgeous vistas and natural surroundings far surpassing expectations. ← Snow! Where’s Mr. Tumnus? I love those old European castles. Unfortunately, the Crusader castles where I live haven’t stood the test of time as well as their European ones… Some castles are just mere wall remnants, with just the floor layout to serve as guide into the past. 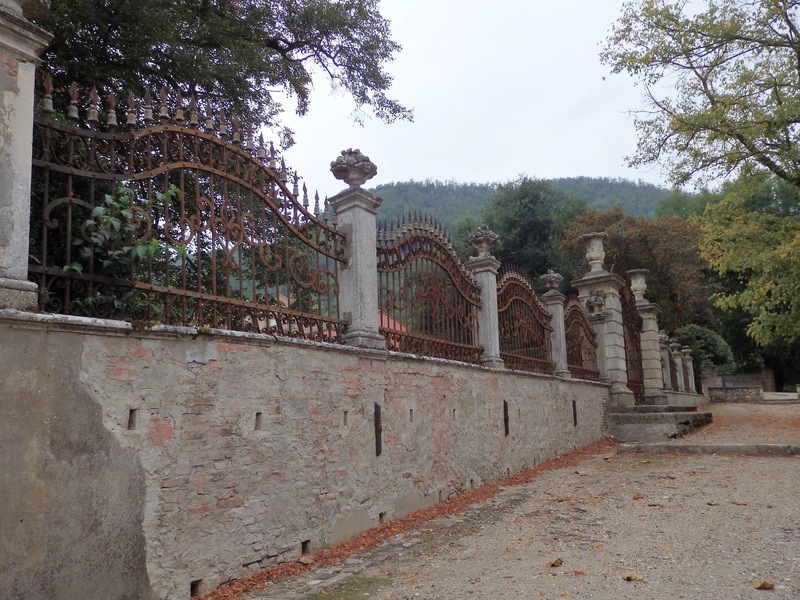 Some of these I saw in Italy are just that….walls around the city. But others have more, like the castle keep and towers. I love exploring these remnants of ages past!